Oak Creek Golf Club Hole 3: This pretty little par three requires an accurate tee shot to avoid the lurking water or the two bunkers on either side of the putting surface. Oak Creek Golf Club Hole 5: This long and straight par four has a slightly downhill approach and the lake is only in play for a truly huge drive. The second shot goes back up the hill with the water to the right. Oak Creek Golf Club Hole 6: The namesake Oak Creek isn't very big at all, but any shot on this hole that goes to the right still has a chance to find this diminutive body of water. 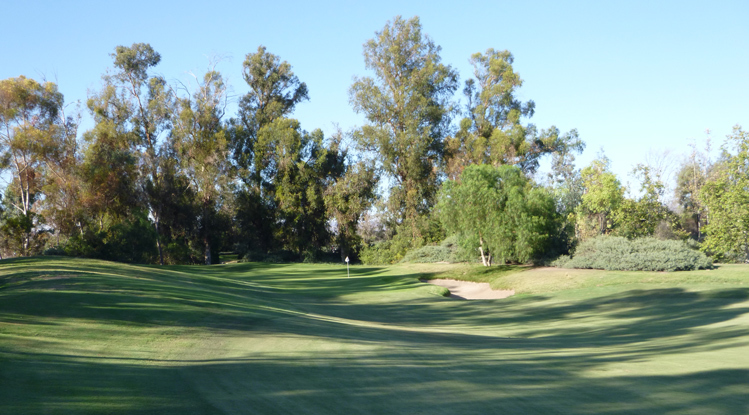 Oak Creek Golf Club Hole 8: Two eucalyptus trees pinch in around the landing area for the drive and require good accuracy off the tee to be avoided and this short par four with an undulating green. Oak Creek Golf Club Hole 12: There are a few straightforward par fours on this course, challenging, but without too much to write home about, but this one is included to give a flavor of that type of hole at Oak Creek. Oak Creek Golf Club Hole 14: The drive on this short par four lacks any real trouble and the player can get petty close to the green with driver. The putting surface, however, is narrow and sloping, which can make what seems to be an easy par from the tee turn into something else. Oak Creek Golf Club Hole 18: The closing hole is a classic short par five with a lake to the right of the second shot and in front of the shallow, but wide green. A bomb off the tee will tempt the driver to go for it in two, but a layup left is also an option. 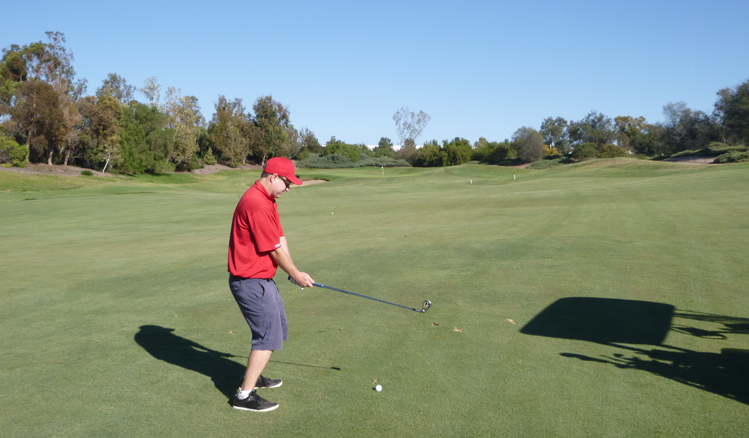 Read More Orange County Golf Course Reviews.